Reading was a big part of my children’s summer. I can still hear my oldest chattering a mile a minute as he told me all about the game of Quidditch. That was the summer we discovered Harry Potter. I can see my middle son shaking with laughter as he read Bunnicula for the first time. I remember how excited my boys got when the newest Harry Potter or Redwall book came out. There would be all kinds of lively negotiations as the three of them figured out who would read the books first. Books have magical properties don’t they? You can send your child to Hogwarts or let them hunt for treasure. You can invite them to travel through a wardrobe to a magical land or ride on the backs of dragons. A summer filled with the adventure, mystery, suspense and magic of stories is a gift to every child. But how can we convince our children to pick up a book and keep reading? Here are some simple strategies to help. It’s pretty simple. When children can choose between screens and books they will tend to pick the screens. Research indicates that engaging with interactive technology releases a flood of dopamine. This is the feel good chemical. So when your kids are interacting with a screen everything else seems boring in comparison. It’s not true of course, but the dopamine high skews perspective. Children (and adults) can quickly become addicted to their screens. Turn off those screens and other activities will suddenly look a lot more enticing. 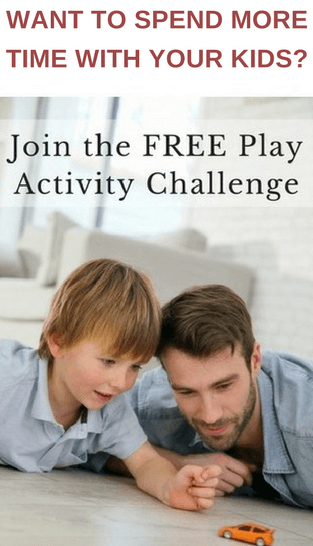 There will be a period of withdrawal, but after a while your kids will turn to other activities to fill the gap. Please be cautious about using reading as a requirement for screen time. The last thing we want to do is to make reading a chore that has to be done before our kids get their screen fix. Reading should be fun! The 2013 Kids and Family Reading Report found that the kids who choose their reading material were more likely to finish their book. You can make suggestions and leave interesting books around, but let children choose what they want to read. Go to the library and allow your kids the freedom to browse and choose for themselves. 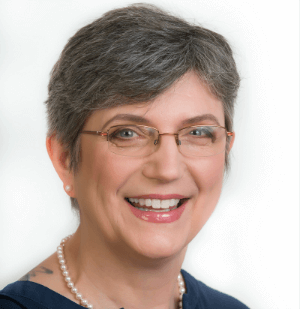 You may find the books they pick tedious and predictable, but that’s okay. 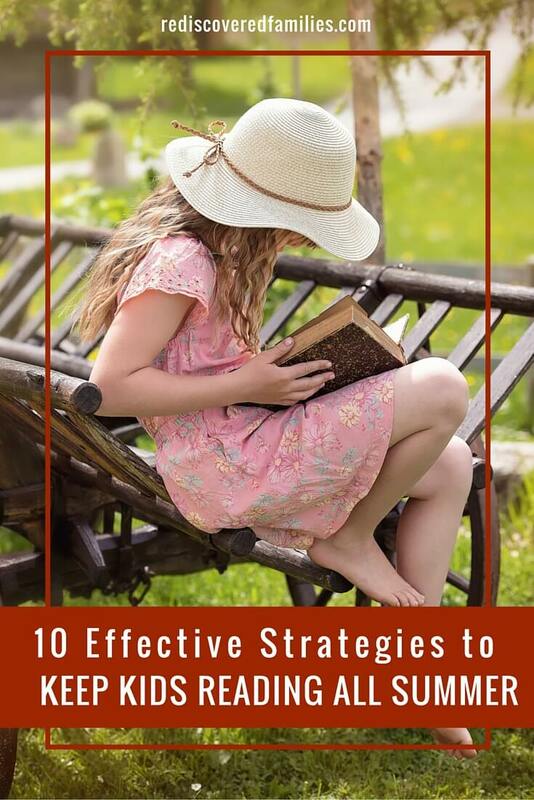 If you give your child control over their reading life this summer it will go a long ways towards encouraging them to read. An enticing new chapter book on their bed. Set up a simple fort with a bed sheet. Place books and flashlights inside and let the fun begin. This doesn’t have to be expensive. Visit your local library and you find all these kinds of materials and more. Try it all! I’m not a huge fan of reading logs, but this is a personal choice. Some children really get a real sense of accomplishment when they fill in their reading log. If that is the case by all means create one together. Other kids find them discouraging and tedious. We do not want to make reading a chore, so don’t hesitate to ditch that log if it doesn’t work. 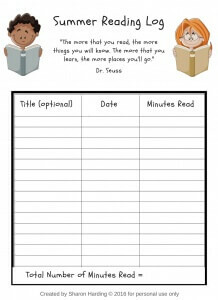 If you do use a reading log try to log minutes read, rather than titles. At our library we find that children required to log titles often read below their reading level, so they can log more books. Logging minutes read seems to encourage kids to read longer books. It also levels the playing field between children at different reading levels. Sit next to your child and read your own book. Read the newspaper with your coffee. Pick up a magazine after lunch. If kids see the adults around them reading, they are more likely to keep reading well. Visit the library regularly. Give your kids the freedom to check out lots of books. Is your child fascinated by Lego, dinosaurs, monster trucks? Go to the reference section and find some books on the subject. Check out Amazon and find good titles, then go find them at the library. If your library doesn’t have them they can often bring them in from another library.We have a wonderful inter library loan program in Alberta. Don’t forget most librarians can give you all kinds of suggestions if you are looking for a good read. Many libraries offer summer reading programs. 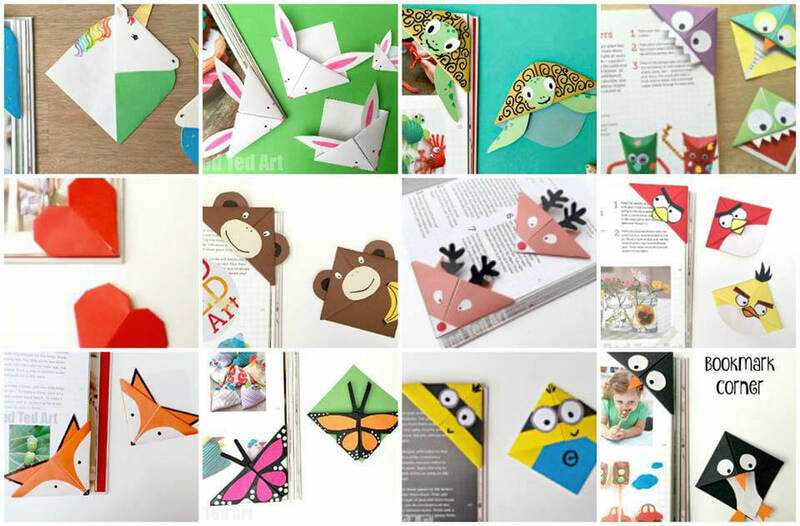 These come with an array of free activities to keep kids reading during the holidays. Lots of books have movie counterparts. Teach Beside Me has a marvellous list of books that have been made into movies. Tell your children they can see the movie after they read the book. Afterwards talk about plot differences and discuss which version they liked better and why. A reading challenge is a great way way to keep kids reading all kinds of books. It also helps them learn how to use a library. Basically you create a list of book categories or genres. Kids have to find a book in each category, read it, and cross it off. Our newsletter subscribers can download these free printables from the library. Just sign up here. If you are already a subscriber, you should have received an email directing you how to access all of our free subscriber-only freebies. Red Ted art has whole post about making fun corner bookmarks. There are all kinds of designs. We have made these bookmarks at the library and kids LOVE them. I’m not sure what the appeal is, but they are a hit every single time. Summer has really just begun. There is still plenty of time to get your children into some amazing books. A love of reading is a gift that will last a lifetime. That is something very precious. What kinds of reading material do your children enjoy? 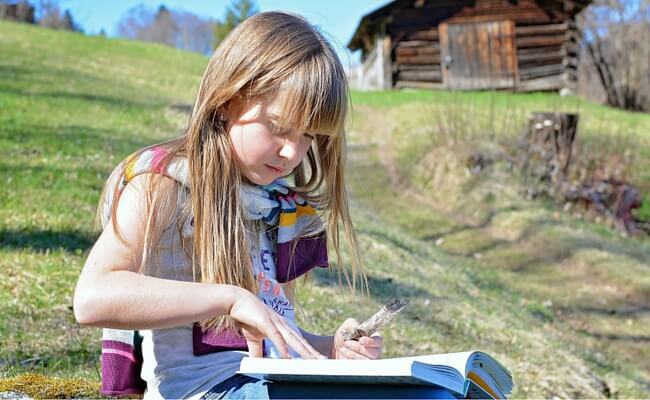 What do you do to keep your kids reading all summer long? There are some great ideas here! It makes me sad whenever I hear children denigrating reading and books – but nowadays, reading just isn’t “cool”. And the tragedy is, they’re missing out on so much. 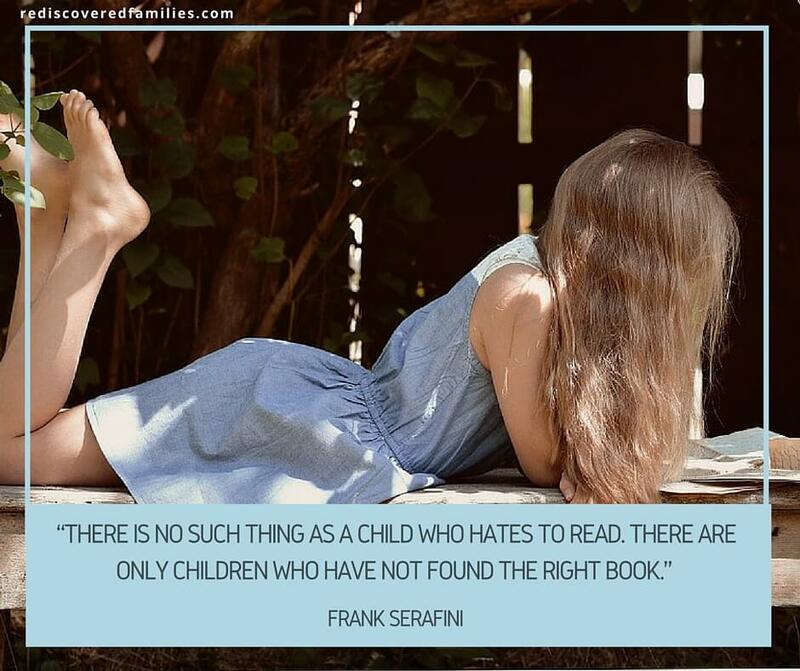 Love the Frank Serafini quote. I have to confess my ignorance of Professor Serafini’s work, but will check out his website forthwith!